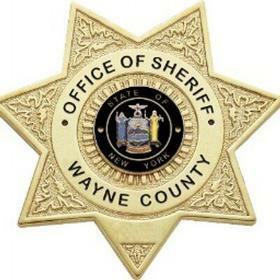 Authorities in Wayne County say that they have found skeletal remains they believe belong to the toddler who has been missing in the Sodus area since May. At an afternoon news conference on Tuesday, Sheriff Barry Virts said that the investigation has never stopped since last May, after the body of Selena Hidalgo-Calderon, 18, was discovered on a farm in Sodus. Virts says that last week, searchers found skeletal remains about a quarter mile away from where Hidalgo-Calderon’s body had been found. “The skeletal remains were taken to the Monroe County Medical Examiner’s office, they told investigators that the skeletal remain was consistent with a child of Owen’s age. Authorities have not yet positively identified the remains found as belonging to Owen Hidalgo-Calderon, 14 months. Lab results could take a couple of months. Selena’s boyfriend, Everado Donoteo-Reyes, previously was charged with evidence tampering and he remains in jail. Donoteo-Reyes is facing federal charges, accused of entering the U.S. illegally. The District Attorney says any further charges that could be filed would not happen until the medical examiner’s report comes back. Selena Hidalgo-Calderon had come to the United States from Guatemala in 2016. The family was applying for asylum at the time of her disappearance. "My heart is broken because I know my little Owen is also gone but I know they are together. Both of them are my guardian angels to give me hope and healing so I keep going for my children. I know Selena is in God's glory because she was a great daughter, sister and friend and Owen is an innocent soul. "I ask for justice for my daughter and grandson. I don't ever want anyone to experience this immeasurable pain." It was emotional for immigrants’ rights advocates to talk about a family they knew well. Supporters of the family of Selena Hidalgo-Calderon, an undocumented farm worker found dead on a farm in Wayne County last month, met with reporters Tuesday. The search for a missing 14-month-old boy in Wayne County has been suspended, but the investigation will continue. Authorities have canceled a statewide AMBER Alert, but continue to search for a missing 14-month-old toddler on a Wayne County farm. An AMBER Alert has been issued for Owen Hidalgo-Calderon, a toddler that was missing, along with his mother, since last week.